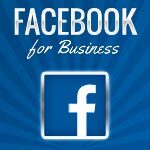 It’s no secret that you can grow your business faster and easier using social media; especially when we’re talking about Facebook! Every day, more businesses are building their brands, gaining heightened exposure, and growing their profits by the thousands – even millions. You simply can’t ignore the potential of using social media to grow your business; nor should you wait to tap into the opportunity to grow a base of raving fans that will engage with you on a daily basis. That’s why we created the Facebook PLR package. 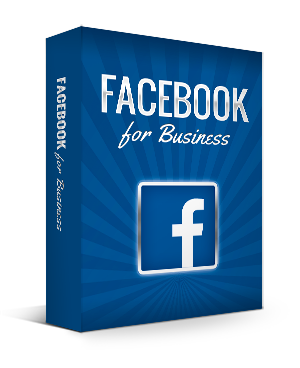 Covers the basics of doing business on Facebook, which include copies of the content in PDF, Word and Text formats. Each reusable social media tip measures 511 x 511 pixels. 40 Ready-to-use PNG social media images. 1 Blank template to add additional tips at your convenience. Your brandable box cover is a smart template for Photoshop. Open the file in Photoshop (CS6 or higher) and edit the front and side graphics and save. The smart template will automatically update your design in 3D! The social media tips are easily transformed into Tweets for Twitter content. You’ll find 40 tweets to direct traffic back to your posted article, which you can add hashtags to suit your needs. The tweets are delivered in Excel (XLS) and TEXT formats. You’ll receive a total of 58 slides. Each slide deck measures 1,280 x 720 pixels when exported into individual PNG files, which is the perfect size to create a high definition slideshow or video. 5 – Powerpoint layout files for slide decks. 1 – Powerpoint layout files for social media quotes. There are two different ways that you can build your tribe on Facebook. The first is to create a Facebook group. The second is to create a business page on Facebook. Knowing what option is right for your brand is important. You don’t want to spend hours building and engaging with your followers on a Facebook group only to realize that you needed a business page instead. So, let’s take a look at how the two are different. 1. Facebook groups were created to allow users to come together in small groups. Groups make it easy to keep in touch with other members and have tight privacy controls. With a Facebook group, you can keep the content posted in the group area private. You can even make the group appear invisible to people outside of it. These controls can be useful if you’re sharing private details about a product or reconnecting with old friends and family members. Facebook pages by contrast offer no privacy settings. Every picture, status update, link or video is publicly available. You may find the content on your business page being indexed by search engines, like Google.